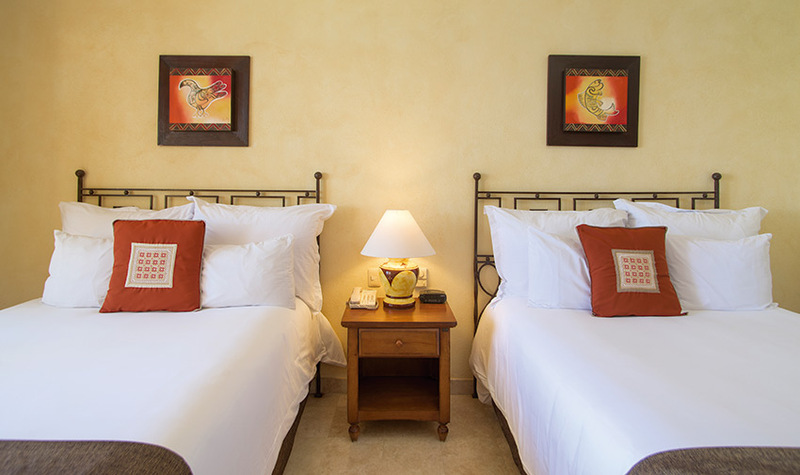 The One Bedroom Suite Ocean View at Villa del Arco Cabo San Lucas features a master bedroom with a king-size bed and an adjoining bathroom with the luxuries of an indoor jetted tub and separate walk-in shower. There's an additional full bathroom off the living room where you'll also find a queen-size Murphy bed for extra travel companions. The spacious living area, fully equipped kitchen, and washer/dryer make this suite the total package. The expansive balcony offers exquisite views of El Arco and Land’s End. 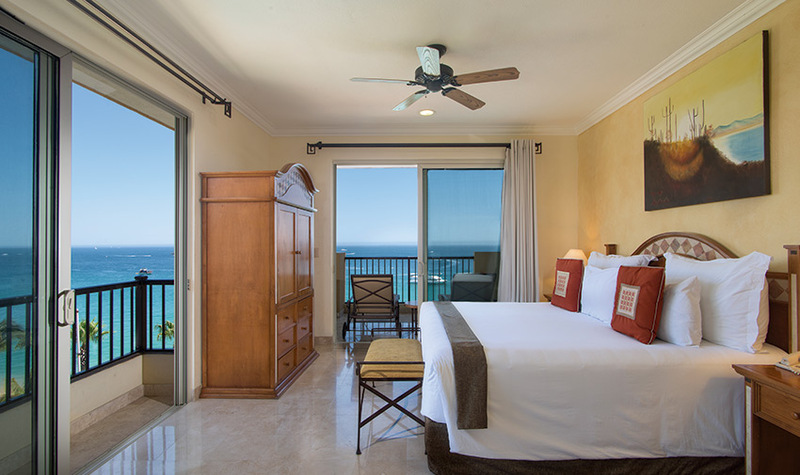 Perfect for those looking for a bit of extra space and lot more privacy, the One Bedroom Suite Ocean View will have you relishing each moment at Villa del Arco Beach Resort & Spa in Cabo San Lucas, Mexico. Our one bedroom suite was large with a great view. The pools were great and view of Medano Beach was nice. We had excellent pool service from Javier Arellano and Francisco. Nachos from the Taco Bar were good. We can't wait to go back.